If a MacBook Pro is your primary computer, you're probably going to want a big-screen monitor for your desktop. These are some of the top-rated options compatible with Thunderbolt 3 or USB-C, in no particular order. 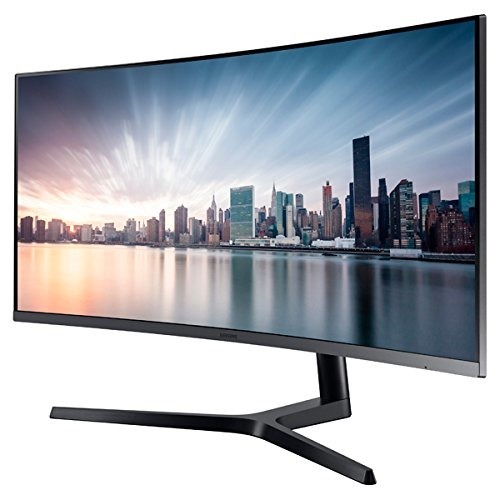 Truly a behemoth, the U3818DW ($874.99) is a 38-inch, 3,840-by-1,600 IPS panel which not only has USB-C, DisplayPort, and HDMI connections, but additional USB 3.0 ports, 9-watt speakers, and integrated Bluetooth. As with all of the monitors on this list it can charge an attached MacBook, in this case supplying 95 watts of power, enough to run and charge a 15-inch MacBook Pro without issue. 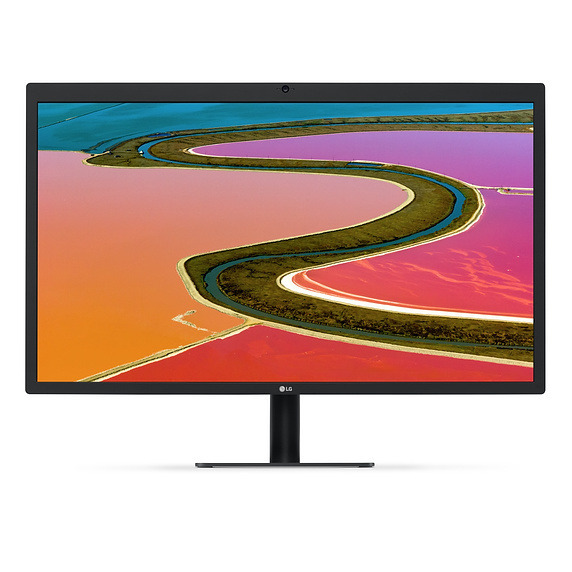 For people looking to keep costs semi-reasonable, the PD2710QC ($549.99) is a 27-inch, 2,560-by-1,440 IPS display that supplies up to 61 watts to an attached laptop. Beyond USB-C, ports are limited to DVI, DisplayPort, HDMI, and 3.5mm audio. 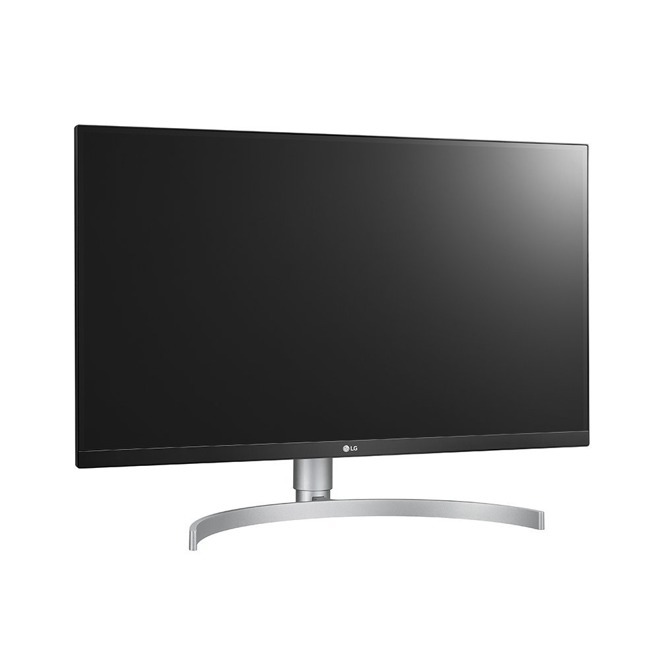 Still less expensive is the 27-inch S2718D ($348.95). This delivers 2,560-by-1,440 resolution, but you will make some sacrifices — there's no DisplayPort option, and power delivery is capped at 45 watts, which is only enough to slow down battery drain on a MacBook. There are at least audio-out and two USB 3.0 ports. The 27-inch UltraFine 5K was designed in cooperation with Apple, and as its name suggests, supports resolutions up to 5,120 by 2,880. This hits 99 percent of the P3 color gamut, and provides up to 85 watts of power via Thunderbolt 3, while also including a camera and three USB-C ports, the latter capped at 5 gigabits per second. You'll pay a hefty fee: it typically retails for $1,299.95. Back to the big ones — the XR382CQK ($949.99) measures 37.5 inches, and runs at 3,840 by 1,600. 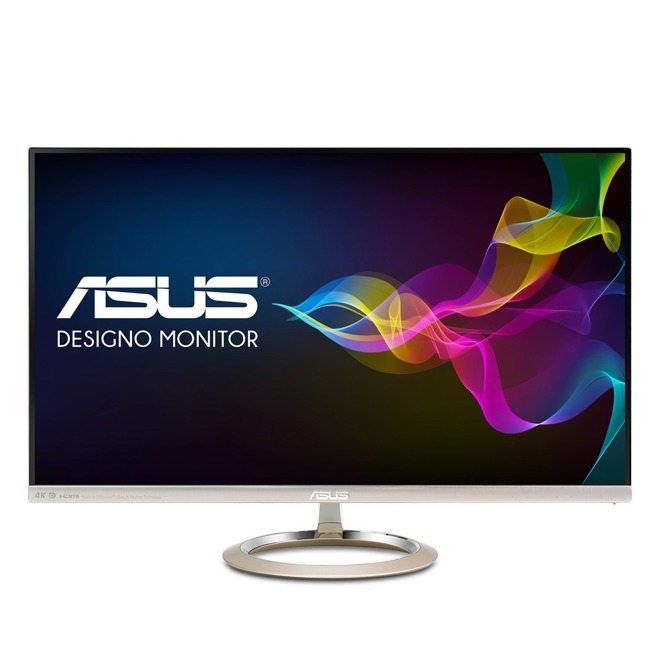 It's also marketed as a gaming monitor, with an incredibly fast 1-millisecond response time. MacBooks are connected via a USB 3.1 Type-C port, and four USB 3.0 ports are provided for peripherals. 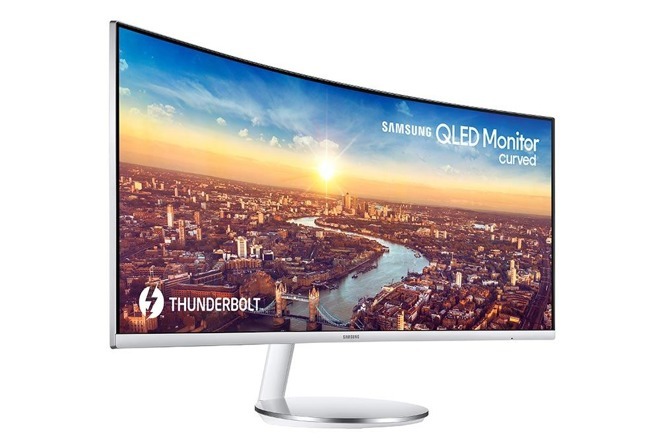 Other video options include DisplayPort, HDMI 2.0, and MHL (Mobile High-Definition Link) 2.1. 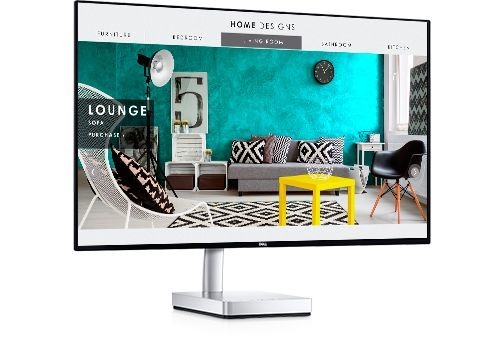 The Designo MX27UC ($525.19) is 27-inch 4K monitor notable for its slim design, while having a decent assortment of ports on the back: USB-C, HDMI 2.0, DisplayPort, and two Type-A USB 3.1 connections. You can also plug in external audio, but the monitor's speakers are rated at just 3 watts. 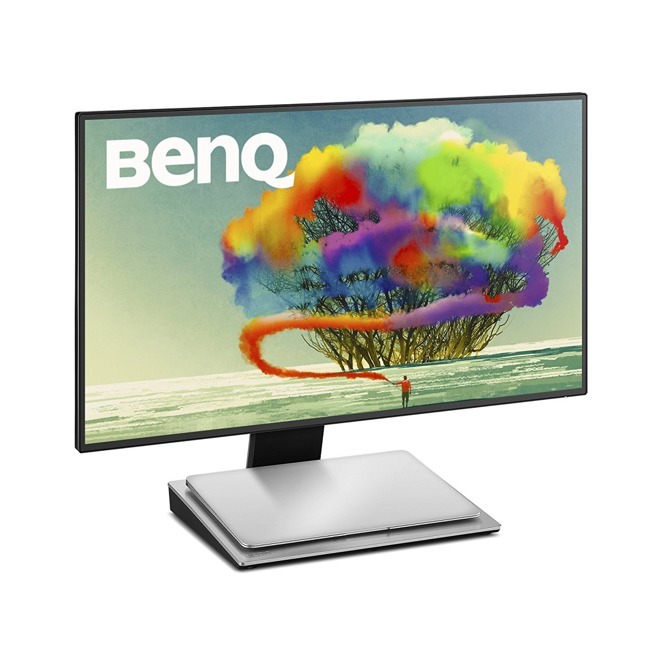 The 27UK850-W ($594.90) is another 27-inch, 4K USB-C display, and indeed even has bezels similar to those on the Designo. Secondary ports include DisplayPort, two HDMI, and two USB Type-A options. 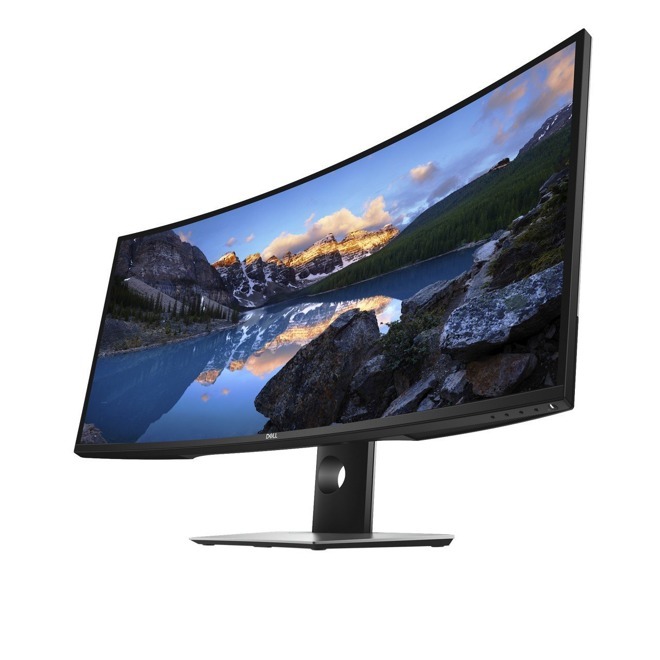 Samsung is big on curved displays, a prime example being the 34-inch C34H890WJN ($699.99). 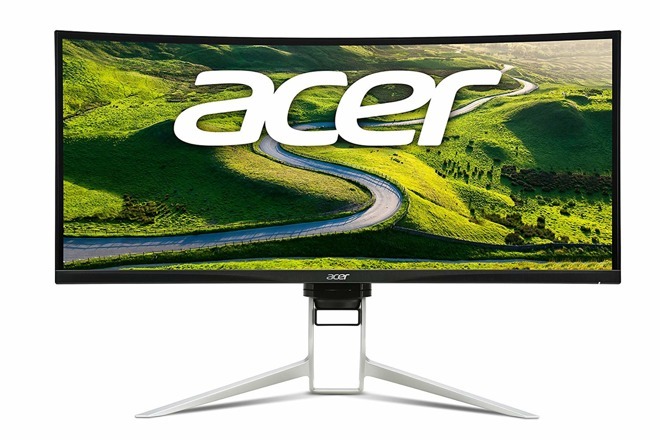 This one has a 3,440-by-1,440 panel in a 21:9 ratio, and ports for USB-C, HDMI, DisplayPort, 3.5mm audio, and three USB 3.0 peripherals. This one ($899.99) was just announced. 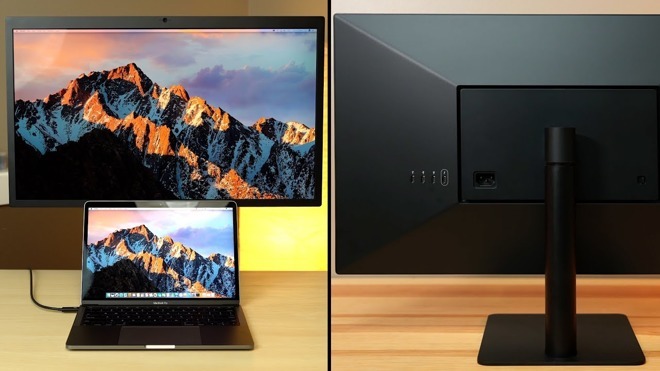 Like the C34H890WJN it's a 34-inch, 3,440-by-1,440 monitor, the main difference being the replacement of USB-C with two Thunderbolt 3 ports, one of which can deliver 85 watts to a connected MacBook. Other ports include HDMI, DisplayPort, and two USB 3.0 connections.